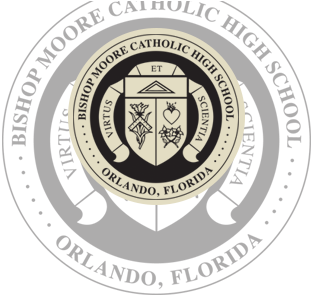 Guided by Catholic tradition, Bishop Moore Catholic High School cultivates students to achieve their personal, spiritual, and intellectual potential and become leaders in society. We accomplish this in a Christ-centered environment that stresses academic excellence, spiritual growth, personal integrity, community involvement, athletic development, and cultural appreciation. We believe all students can learn to become productive citizens in our society. Consequently, BMC aims to provide a diversified curriculum in which all students can experience success, discover their personal worth, and develop a clear value system. We aim to nurture and graduate intellectually competent, ethically mature, physically fit, caring, and self-disciplined students who are prepared to be successful citizens. But we know we can’t accomplish this alone. At BMC, we thrive on parental involvement and count on alumni, local parishioners, and community members for our existence and the success of our students. As a way of saying “thank you,” we encourage our students and staff to give back to our community through their personal service. 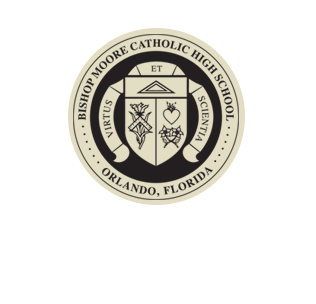 Bishop Moore opened its doors in 1954 and since that time has seen many traditions come and go. But one thing has not changed—the importance of our Catholic faith as celebrated in school-wide liturgies and prayer before class. 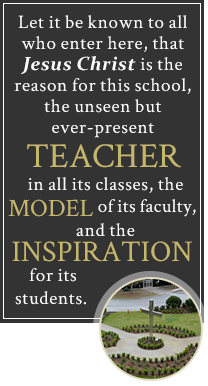 BMC exists to provide the highest quality, affordable, secondary education based upon the Gospel message and Roman Catholic teachings.